Legendary professional wrestler Ric Flair has been having plenty of hip-hop moments lately. From being the inspiration behind Offset's first-ever solo platinum single "Ric Flair Drip" to being immortalized in a new chain for the Migos rapper, Ric Flair has been helping put on for the culture. Most recently, the famed wrestler starred in a new campaign promoting the Rolling Loud festival, which is set to take place at the Hard Rock Stadium in Miami during the weekend of May 11-13. 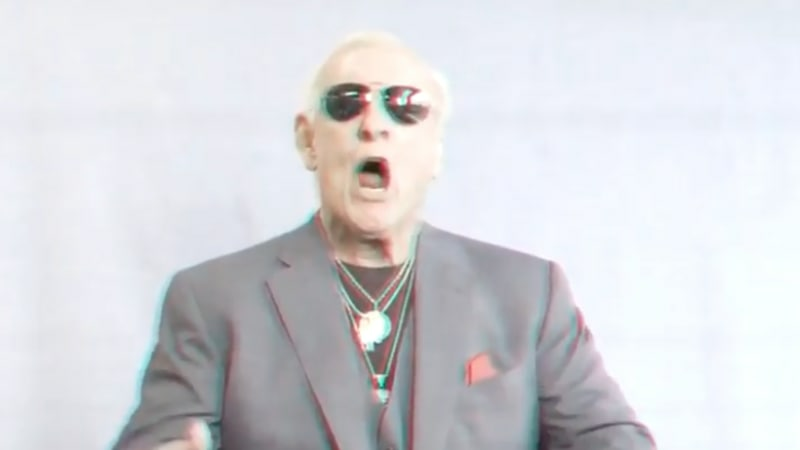 During the promo video for the fourth-annual Miami takeover, the "Nature Boy" can be seen excitedly weaving in some of his signature catchphrases while shouting out some of the reputed festival's scheduled acts, including his pal Offset. This year's festival will see headlining performances from the likes of J. Cole, Travis Scott and Future, with acts such as Cardi B, Lil Uzi Vert, N.E.R.D, the Diplomats, Young Thug, Juicy J and many more also on the stacked bill. "After expanding the brand to the west coast, we are proud to come home to present the Rolling Loud Miami 2018 lineup," Rolling Loud co-founder Tariq Cherif shared in a statement. "Our team left no stone unturned while booking what we believe to be the most current portrayal of rap music today, including the most popular rappers, as well as the critical darlings still on the come-up. We also are very excited to present the show at Hard Rock Stadium, a global entertainment destination that we will be able to properly accommodate fans and artists alike." Ric Flair recently spoke with REVOLT about his friendship with Offset, his iconic "Nature Boy" persona and what it's like to be viewed as an icon in the hip-hop community. Take a look at Ric Flair's recent sit-down with REVOLT and check out his promo for Rolling Loud Miami, below. For more information about the festival and to purchase tickets, visit here.